Islamic State of Iraq and Levant (ISIL) has established cells in the UK, Germany, and Italy, the U.S. director of national intelligence said. “We continue to see evidence of plotting on the part of ISIL in (the UK, Germany and Italy),” James Clapper said on April 25. 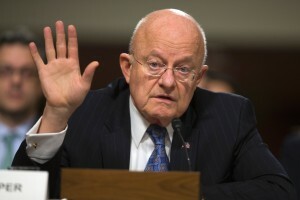 Clapper said the terror group had established underground cells such as those that carried out the deadly March terrorist attacks in Brussels and the November attacks in Paris. Meanwhile, an ISIL cell has reportedly entered Sweden and is planning on carrying out attacks in Stockholm. Iraqi security services reported that “seven or eight” ISIL jihadists are already in the country with the aim of attacking civilian targets in the capital. The Swedish Security Service, national task force and the Stockholm Police have officially gone into a “heightened state of readiness” after receiving the Iraqi intelligence, Swedish media reports. Intelligence services have identified some 300 people who have left Sweden to join jihadists in the Middle East since 2013.